Manchester United have been widely expected to make new signings in defence this summer, though so far we have only landed 19-year-old Diogo Dalot from FC Porto. We can certainly be expected to bring in a new centre-back before the start of our 2018-19 Premier League campaign on Saturday 11 August and so far a number of names have been linked to us. A new left-back has also thought to have been a priority for Jose Mourinho over the summer. Last season Ashley Young made the position his own with 28 Premier League starts. However, the England international turned 33 on Monday and is not naturally a defender. Young fought off competition from Luke Shaw, Matteo Darmian, Daley Blind and Marcos Rojo to be a regular in our back four last season, which doesn’t say a lot about the competition. It comes as no surprise that a number of left-backs have been linked with a move to Manchester United this summer. These include Celtic’s Kieran Tierney, Tottenham’s Danny Rose and Napoli’s Faouzi Ghoulam. One that has perhaps been linked more than most is Juventus’ Alex Sandro. Earlier this summer it had been reported that the Italian champions wouldn’t let their defender go for anything less than €60 million (£53.2m). Since then the Serie A side have been strongly linked with an £88 million move for Cristiano Ronaldo. On Monday, Sky Sports even reported that Real Madrid and Juventus are close to agreeing a deal. For the Old Lady to be able to afford the Portuguese superstar and to stay within the Financial Fair Play quota they may be required to raise money from player sales themselves. Therefore, selling Alex Sandro could be an option for them. Juventus are already strongly linked with signing Matteo Darmian from us, who could simply be a direct replacement for the Brazilian full-back. Especially considering they’ve already signed a right-back in Joao Cancelo from Valencia – it’s unlikely the Italian international would also be signed to compete for a play on the right-hand side of their defence. 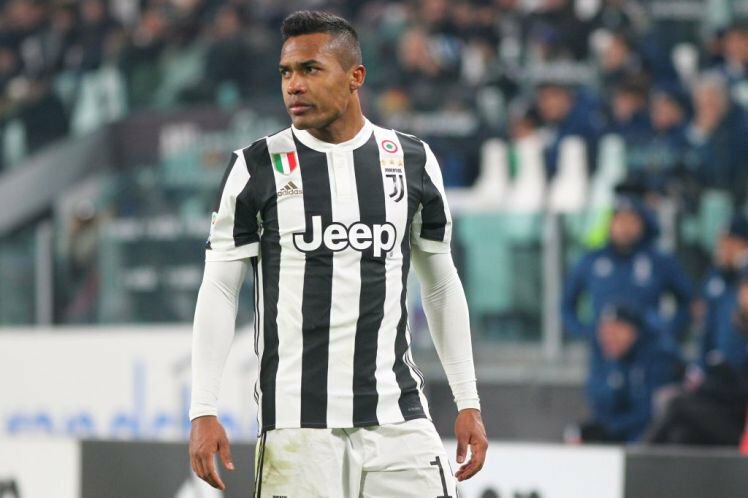 What’s more, Italian outlet Tuttosport are claiming that we have a 25% chance of signing Alex Sandro this summer and that Juventus’ asking price has been cut to €40 million (£35m). That price seems much more reasonable for us, given that there is also lots of money splashing around in English football currently. Given the talent of the 27-year-old I am sure Jose Mourinho wouldn’t think twice about the price on offer. Alex Sandro is both good defensively and very good going forward. He is confident at taking on opposition defenders in the final third to create chances for teammates and also pops up with the odd goal. Although he wasn’t part of the Brazil national team for this summer’s World Cup, the South American’s are already loaded in his position with Real Madrid’s Marcelo and Atletico Madrid’s Felipe Luis!